HUNDREDS descended on Baralaba this weekend to mark a major milestone for the little mining town. 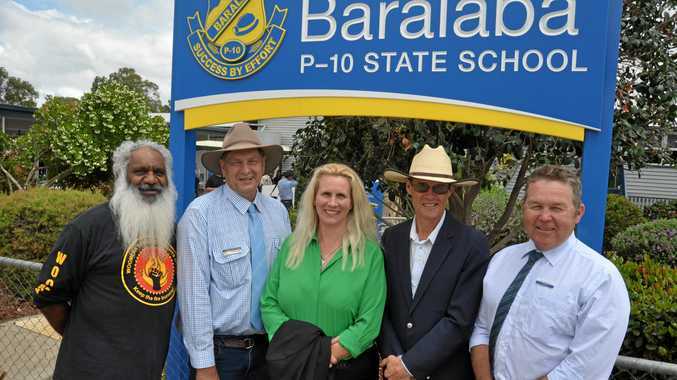 Cars lined the streets and the tiny town just about burst at the seams as students past and present returned to celebrate 100 years of Baralaba State School. It was a joyful reunion of former classmates, who recalled tales of the school's humble beginnings. In 1918, a dilapidated tent and four old desks was all the school had to accommodate its 15 students. The first permanent building was installed in March of 1922, the same year Baralaba was formally established as a state-funded school. Baralaba residents and friends of the graduating class of 1931, Mavis Lewis and Deidre Byrne, were there to cut the centenary cake. Mrs Byrne has fond memories of her formative years, which she said were vastly different from the current generation's schooling experience. "I remember we used to ride horses to school,” she said. "I don't think they even know what a horse paddock is now. "The teachers were very nice and we had everything we needed here. A century on, notable alumni include a knight, Sir Charles Holm; respected clinician and head of the University of Queensland's school of medicine, Professor Darrell Crawford; and rugby league legends Jason Hetherington and Corey Oates. In his address at Saturday's ceremony, Callide MP Colin Boyce said their success was a reminder that all students should aspire to live out their dreams. "One hundred years is a significant milestone for any state school,” Mr Boyce Said. "Schools are the focal point of any small community and Baralaba has produced international sporting stars to nuclear physicists. Current students buried a time capsule - filled with art, stories, letters, pictures, drawings and poetry - to preserve their legacy. The capsule will be unearthed and reopened in 50 years time, sharing a little piece of history with Baralaba's future students. Principal Kate Davis said she was honoured to be involved in such a special occasion. 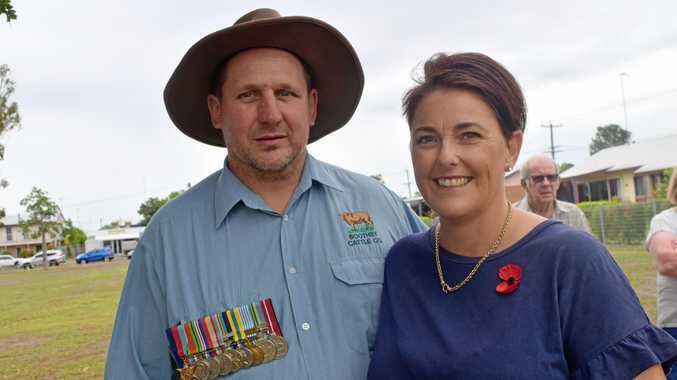 "Although many things have changed over the last 100 years, the strong sense of community remains integral to the life of Baralaba,” Mrs Davis said. "It has allowed Baralaba State School to flourish and grow into what it is today - a proud and well-loved school for its community. "It's because of this strong community ownership and pure hard work that the school remains an important part of the town in 2018. Celebrations will continue well into the night, with Stopford St closed for a gala party filled with food, music and dance. To commemorate 100 years, the school unveiled plans for an ambitious landscaping project - Centenary Gardens. The garden will feature native plants that will wrap the boundary of the existing oval, including a large section open to the public with historical plaques, picnic shelters and artwork.